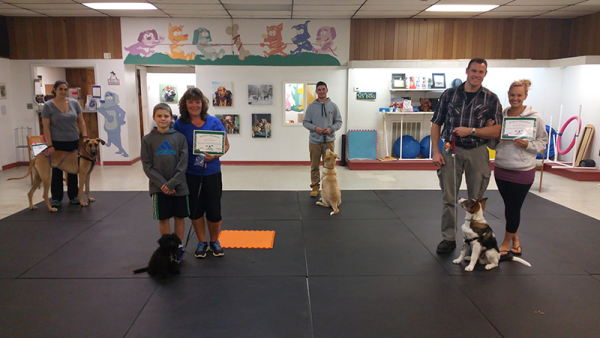 Dog Training | Group And Private Obedience Classes in Saratoga Springs, NY! The Playcare Training Program was developed with this equation: Love, Language and Leadership. We all love our dogs. But can we all speak our dog’s language? Learning and speaking a language that your dogs understand will build the leadership you need to have the relationship that you are looking for. Have you heard the expression, “You can’t teach an old dog new tricks?” This is simply not true. A dog can learn at any age. At Playcare we work with dogs no matter their age or experience. Your dog wants you to step up and become it’s leader. And while what we teach goes far beyond “tricks,” we believe the most effective way to train your dog anything is through a healthy relationship built on trust, knowledge, and clear communication. 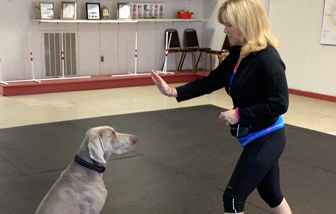 Group Classes – We offer a series of group Obedience programs throughout the year. Level One Obedience class is a 5-week program to teach you our 10 Playcare games that will help you begin to lead your dog/puppy away from the frustration of those nasty habits like jumping up, counter surfing, barking undesirably, just to name a few. These games are designed to build leadership in a positive language to make sure your dog is happy while adapting to our human world. Our class size is typically 4-5 students which allows for a quality hands on-and most importantly-FUN learning environment. Pre-registration and a deposit is required as we only take 4-5 dogs per class. 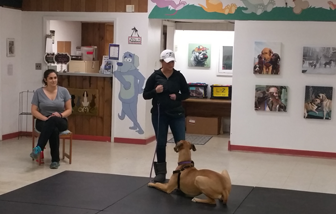 Level Two Obedience class is also a 5-week program that is designed to build upon the leadership games you learned in Level One and develop you as your dog’s leader. The 10 Playcare Games will be played with distractions and distance that will help develop the foundation of obedient behavior. Finishing Level One successfully is required for taking this course. 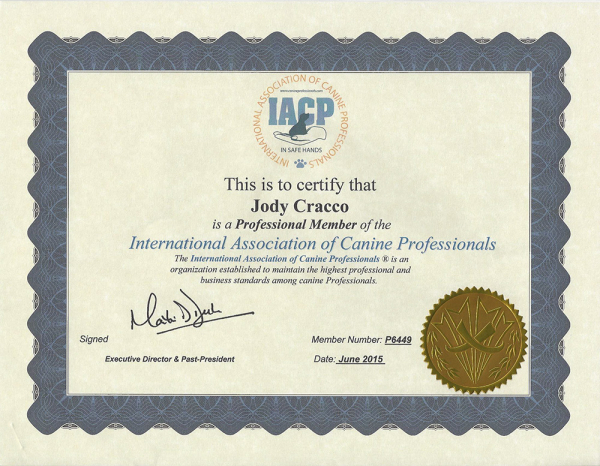 A registration form and deposit is required prior to taking this course as we only take 4-5 dogs per class. Testing out of Level Two is required for Level 3. Level Three Obedience classes are offered off-site. This five week program is designed for using your leadership and your Playcare games to support your dog with new experiences and new environments. 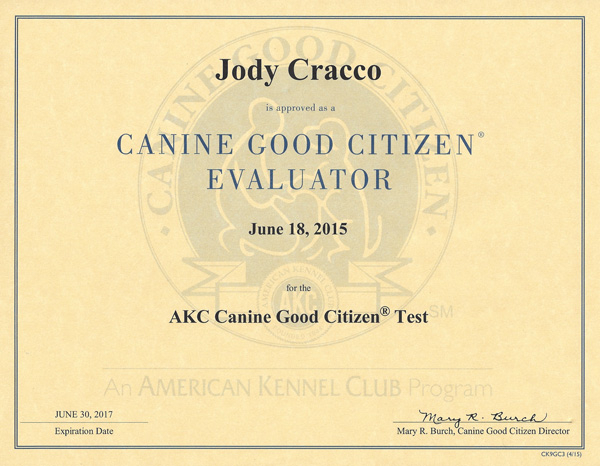 A registration form and deposit is required prior to taking this course as we only take 4-5 dogs per class. Level One Dog Walking: This 5 week program is designed to develop your dog’s leash walking skills. It is helpful if you’ve taken our Level One Obedience class first but not mandatory. A registration form and deposit is required prior to taking this course. Level Two Dog Walking: This 5 week program is designed to build on what was learned in our Level One Dog Walking class. This class is offered off site and will use the skills learned in level one deal with distractions while leash walking. A registration form and deposit is required prior to taking this course. Level Three Dog Walking: During this 5 week program, dogs will be on leash but simulating off leash walking. This class will take place on and offsite. A registration form and deposit is required prior to taking this course. Private training starts in your home. This is where training is most effective. All dogs are individual, so we vary our approach based on each dog’s personality and temperament and what will work for that dog. We also vary the dog behavior training to suit the family’s specific needs and lifestyle, the dog’s environment, and what YOU do or don’t want from your dog. At Doggy Playcare we would like to take the frustration out of being a dog owner and make it fun while teaching you and your dog how to better understand one another. We offer constant support to our owners. Whatever questions you have or specific needs or requests, we want to help! Give us a call at 518-886-8876 today! 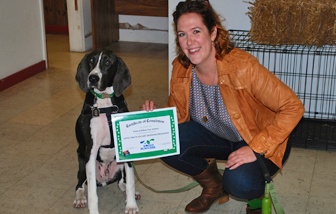 Call 518-886-8876 or Contact Us Online to Inquire About Training at Doggy Playcare!